One of the big adventures that Andrew and I went on together was moving to Houston, Texas. We went for three years. And when the three years were over, we were ready to move on back to the Northeast . . . we love our Houston friends. We missed New England. While we were living in Houston it felt much harder to find adventures, we found ourselves going to the same outdoor places again and again . . .
We wanted to go on adventures, but we were not sure where to go. One big help in planning intentional adventures to us in Houston was . . .
An Entertainment Book is a book of discounts focused on a particular area of the country/city. In looking up the site today it looks like they now have an online membership available as well as an app. We bought the book for $25 and then used the coupons throughout the next year. We found all kinds of places we might never have gone otherwise. We found that a number of our Houston friends had never been to some of these places . . .
George Ranch Historical Park is a working ranch that allows you to explore Texas history through the buildings of one family. It was hard to find historic sites in Houston,Texas, this was a good one. San Jacinto Monument commemorates the San Jacinto Battle, a decisive battle in the Texas Revolution. The monuement seemed to be out amid oil refineries, but once we got there it was fun to see it, and it is taller than the Washington Monument. 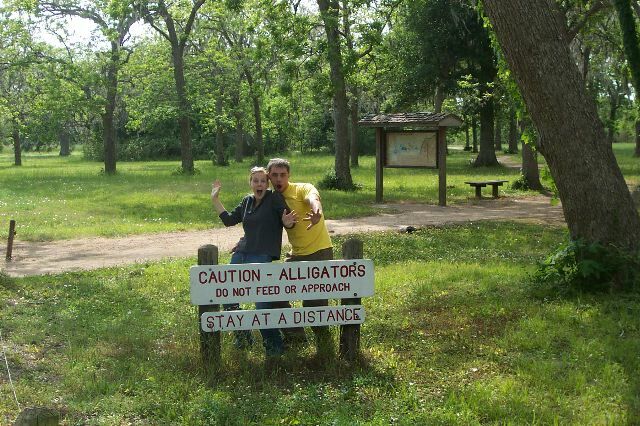 Bayou Wildlife Park is the closest thing to a safari you will experience in the United States. It is an up close look at all kinds of animals. The park is very nicely kept, we returned again and again. 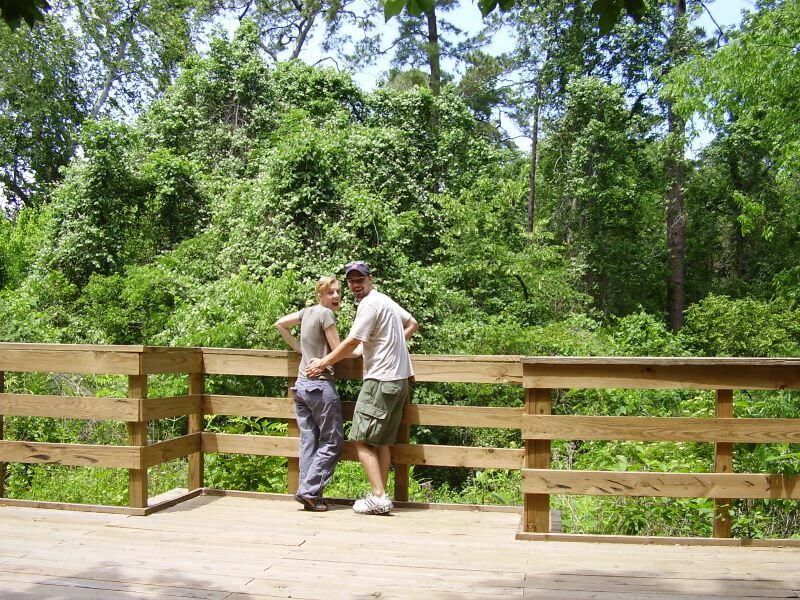 Armand Bayou Nature Center allowed us to experience more nature in the midst of a lot of concrete. It is a preservation of the wetlands, prairies and nature of Texas. The Forbidden Gardens in Katy, Texas are a replica of the Forbidden Gardens in Beijing, China, a Chinese History Museum. As I went to type this I learned that they were shut down in order for a parkway to go through there. Everything was sold, thousands of figurines! We loved visiting here. You can see our album by clicking on the picture(s) . . . would have been fun to purchase a soldier or maybe one of those white yelling beings . . .